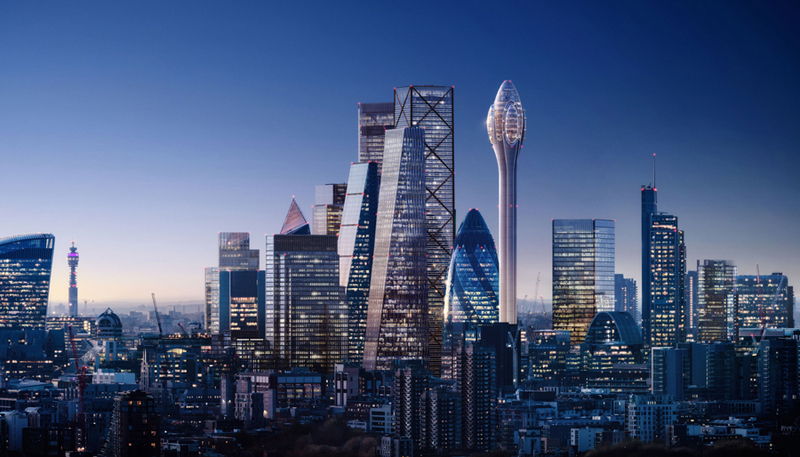 The Tulip – a 305.3-metre tall tower topped with a viewpoint and rotating gondolas designed by Foster + Partners – is planned to be built alongside the Gherkin in London. Foster + Partners has submitted its design for the tower, which would become the tallest structure in the City of London, for planning permission. If approved, the tower could begin construction in 2020, with an opening date planned for 2025. 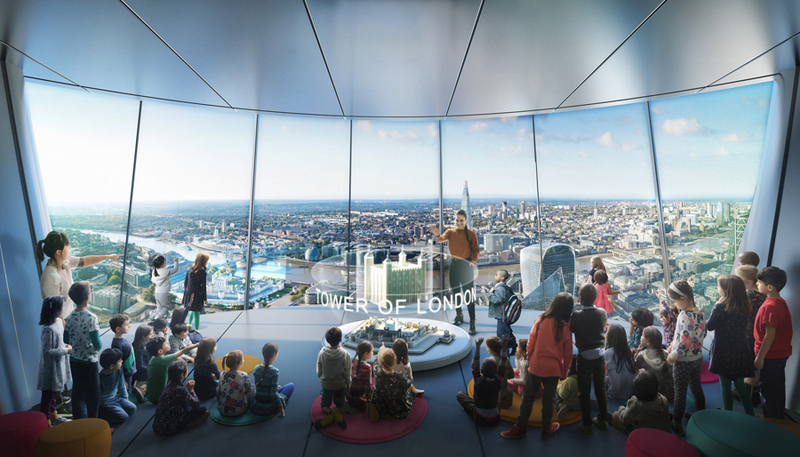 Visitors would ascend the London viewpoint, which has been designed to look like the petals of a bulbous tulip flower on top of a thin stem, to reach the viewpoint, attractions and an education centre. Internal glass slides and spinning gondola pods fixed to the three sides of the facade would provide novel vistas over the city. 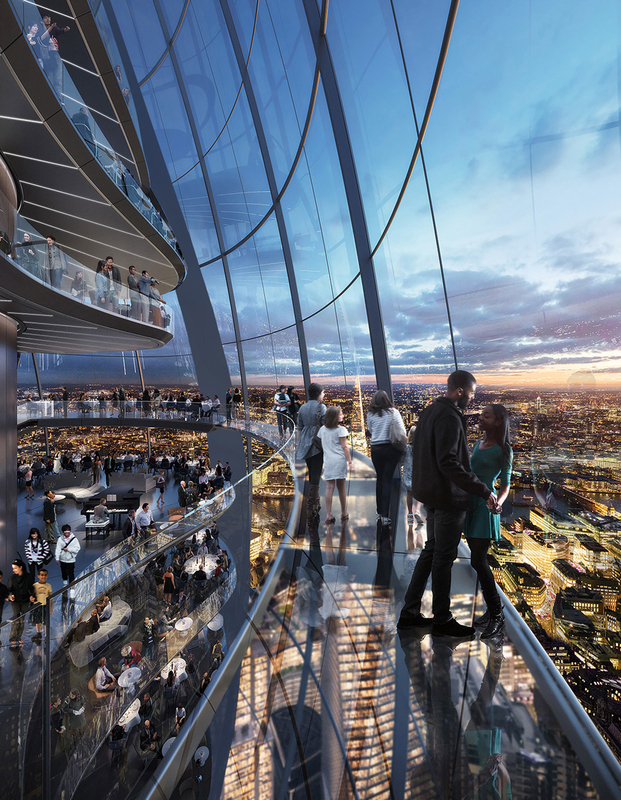 Sky bridges would run between the observation decks, and the Tulip would have a bar and restaurant with 360-degree views. 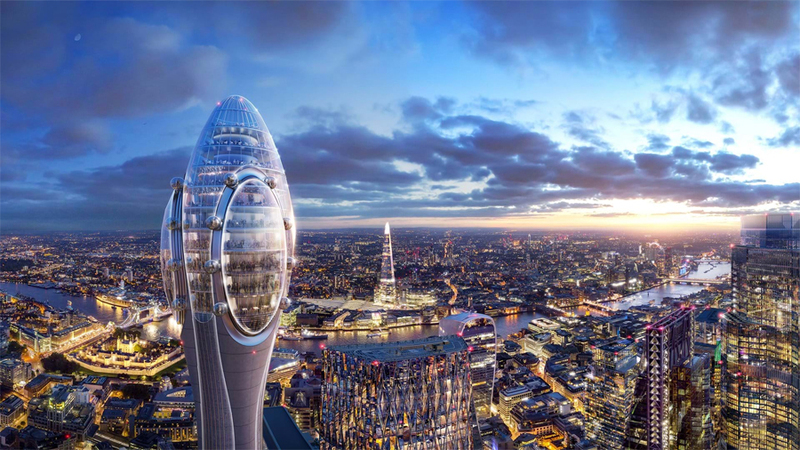 The design recalls a hybrid of the rotating pods of the London Eye attraction and the panoramic restaurant that once sat at the top of the BT Tower. Meanwhile you can check Top 20 Tallest Buildings in The World.